Opportunities present themselves when we find ourselves faced with a decision to be made. Every step in one direction represents a choice to pursue, postpone or pass up an opportunity - and when one door closes, another one opens. So the question becomes: How do we know if we are chasing the right opportunities and what is the opportunity cost of choosing one direction over another? Truth is, there’s no way to know for certain which opportunities are right. This is especially true of big life decisions like choosing a career path, a life partner, or moving to a new city. At best, we can endeavour to feel confident and comfortable with our decisions by getting clear about the WHY behind the choices we make and WHAT those choices will enable us to achieve. This brings us to the crux of this month’s theme - how do we discern when we’re making decisions based on what we think we should do versus what we must do? Logical semantics would suggest that these words are interchangeable - insofar as implying an obligation or responsibility to do something. But therein lies a subtle but significant distinction. Notions of what we ‘should’ do are usually defined by the opinion of others in the form of advice, suggestions or recommendations. But the thing(s) that we ‘must’ do imply that there may be a much greater risk or opportunity cost of choosing one option over another, as a matter of survival or self-preservation. When we find ourselves at a crossroads in life, it’s important to take a moment to pause and carefully assess the roads of opportunity that lie ahead of us. At times of change and transition, it is easy to confuse the mental state of obligation and responsibility. An obligation mindset traps us into focusing on “have to, don’t want to” whereas a responsibility mindset is one of self-empowerment and embracing our freedom to choose the Life/Work we desire. In reality, the only responsibility we must be held accountable for is our own happiness, personal wellbeing and quality of Life/Work. So often, we adopt others’ ideas of should-do’s based on external inputs: get a job, buy a house, have kids, raise capital or pivot your business. Our fear of making the wrong choice is compounded by a greater fear of making mistakes or failure - so we conform and concede to ‘tried and tested’ instead of rising to the challenge and necessity to ‘try and find out’ what happens when we trust our own judgment. It’s not about dismissing the sound advice of others, it is about learning to carve your own path with every step you take. That’s why it’s your path, and the only one you must take. What do you REALLY want? What is it that makes you come alive? What’s stopping you from moving forward? What are you specifically afraid of? What would you do if you knew you couldn’t fail or be judged? Making better choices is a truth-seeking exercise of knowing what’s important and allowing this guiding light to illuminate the road ahead. 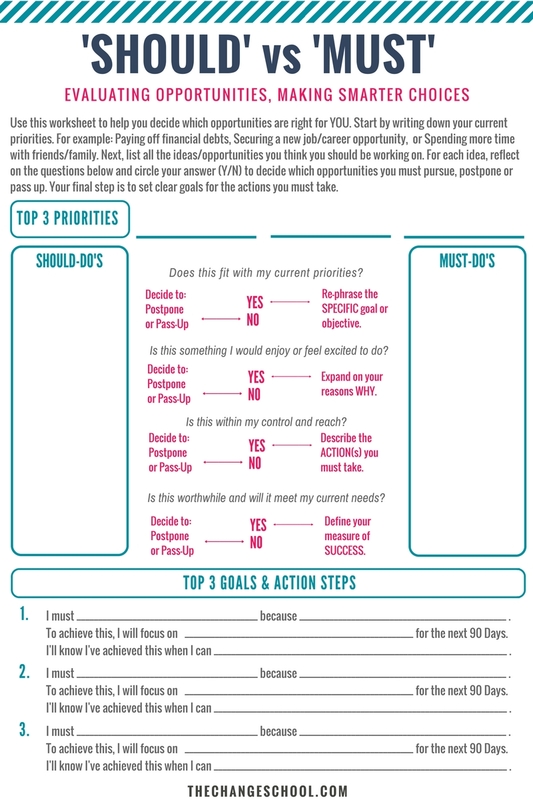 Use this worksheet to help you map out your priorities, possibilities and 90-day pursuit of purpose. Just remember: Your priorities and purpose can, and will, evolve through changes of personal circumstance, situations and sentiments. Nothing is ever fixed and the road to greatness is seldom a linear or direct path. So give yourself the room to wander, meander and fall. If you ever you feel lost of direction, come back to this map and keep paving your forward path. 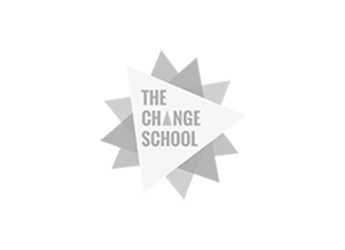 Download our FREE Worksheet to help you evaluate opportunities and make better choices for YOU.